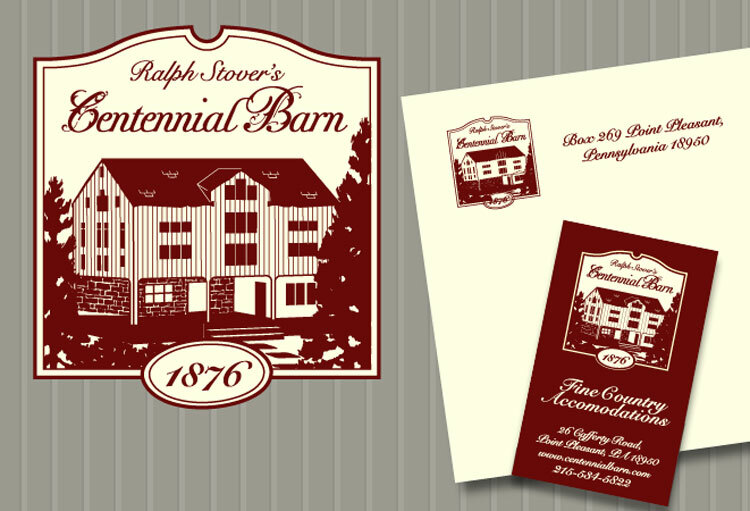 The Centennial Barn is a beautifully restored and renovated private residence. The design and styling are magnificent. The project required a custom logo, website, and stationary. 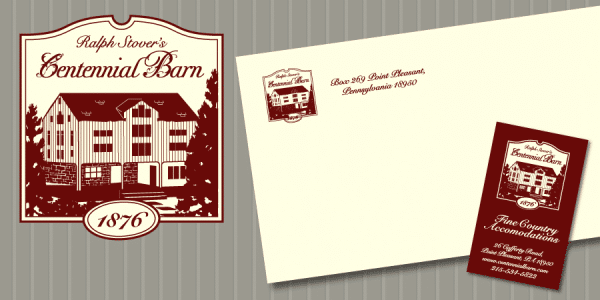 To create a unique and appropriate logo and website for a luxury upscale country B&B. The building was renovated and transformed into a stunning property. I wanted this to be the focal point. I needed to be able to present the barn in different angles so that we could decide which was more pleasing. The road is on a steep incline so I was not able to get the angle I wanted to take photos (I would have needed a drone before there was such a thing). I took photos of each of the sides and then straightened them out so I could create a basic 3D structure. From there, I used Illustrator to create the brushed effect and to complete the entire look at feel. A custom logo used for their stationary and website.